Samsung Galaxy S6 Edge Spigen Neo Hybrid Case - Inductive charging possible? 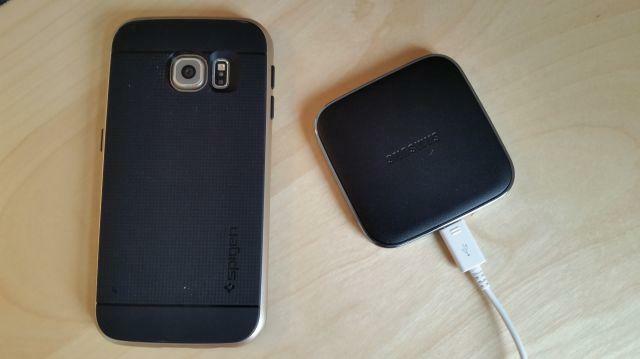 Is inductive charging possible with the Neo Hybrid Case Spigen and the Samsung Galaxy S6? We tested the inductive charging station by Samsung in connection with the Spigen Neo Hybrid Case and the Samsung Galaxy S6 Edge for you. This worked perfectly and without any problems. Only if the Samsung charging pad is connected via a normal USB port of your computer, this may not charge correctly because the charging current is not reached, thusyour Samsung Galaxy S6 will not be charged via the charging station. Otherwise, for inductive charging it is only to say that this is much slower than it is the case with the power cord. Nevertheless, a useful variation to charge the Samsung Galaxy S6.